In October 2018, taxpayers breathed a sigh of relief when the White House announced they would postpone action on a proposal to provide a government-backed bailout for politically-connected energy companies. Over the past year, stakeholders from across the political spectrum have united against this bailout, which would have needlessly hiked prices for consumers, and vastly increased the government’s role in the energy market. But like most politically charged issues tied to deep pocketed special interests, this proposal isn’t completely dead in the water. The Department of Energy’s proposal aimed to use emergency powers to send billions in subsidies to coal and nuclear plants that were no longer competitive in today’s significantly transformed energy marketplace. If these market-distorting subsidies were to be carried out, it could have raised energy prices by as much has $34 billion over two years, distorting the electricity bills of millions of hard-working Americans. Worse yet, 80 percent of the benefits would have gone to just a handful of companies. Fortunately, the administration announced that it would shelve the plan, dissipating the immediate danger to consumers and taxpayers. However, the long-term threat remains. With these plants still struggling to keep market share, there are rumblings that similar misguided approaches could be resurrected from the policy graveyard at the federal and state level. While special interest groups weren’t successful in their attempts to persuade federal policymakers or administration officials to support billions in subsidies, but it does appear the influence from their army of energy lobbyists has resonated well with state lawmakers in some areas of the country. In New Jersey, a state where taxpayers are frequently hit with tax increases, lawmakers overwhelmingly approved billions in subsidies for the state’s largest (and very profitable) electric companies. These companies will receive more than $3.5 billion over the next decade, making this the most expensive corporate welfare program in New Jersey history - all while the state faces growing budget problems. The New Jersey Board of Public Utilities is now in the process of ranking which companies will be eligible to receive these subsidies, and are required by law to release the beneficiaries by April of this year. At the bill signing, Governor Phil Murphy declared, “Signing these measures represents a down payment to the people of New Jersey on the clean energy agenda.” He would be more correct if he said it “represents a down payment from the people of New Jersey,” considering consumers will be paying an extra $40 a year on their energy bill. In Ohio, similar subsidy legislation – known as House Bill 381 – would have cost ratepayers an extra $30 annually in higher energy bills, all to finance a $2.5 billion subsidy for FirstEnergy Solutions. Ohio manufacturers would also face higher prices, some up to $500,000 over the course of ten years. Higher operating costs for Ohio-based businesses won’t help them remain competitive on the global market and could hurt workers. At the time, Ohio leadership saw through this blatant play at crony capitalism and rightly rejected the bill, but FirstEnergy Solutions may now have a more sympathetic resident in the Governor's Mansion. 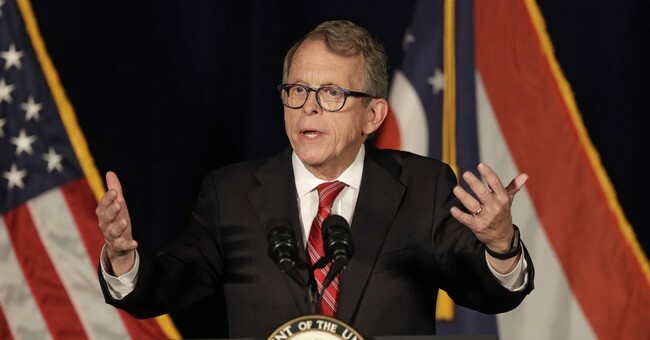 Governor Mike DeWine has signaled his support for such a bailout, and it remains to be seen whether he will force consumers to bear new burdens on their monthly bill. In in a recent development, FirstEnergy announced that it had reached an agreement with creditors that may allow the company to be restored from its recent bankruptcy notice. But in the absence of substantial changes in the market, we can reasonably assume that this settlement is the consequence of their successful efforts to secure support from the politicians needed to attain their bailout – an objective specifically mentioned in their release. America’s energy renaissance from natural gas and renewable sources has been a boon for the economy and consumers, even if it means slowly phasing out older, inefficient energy plants. But renewed attempts to create an uneven energy sector through carve outs for special interests with consumers picking up the tab is the wrong approach. In a free market system there are winners and losers, and policymakers who support these subsidy bailouts make it clear they don’t mind their constituents to be part of the losing team. Thomas Aiello is a policy and government affairs associate with the National Taxpayers Union, a nonprofit dedicated to advocating for taxpayer interests at all levels of government.